The lazy days of summer are done are it’s back to school and work. The weather is cooler, the air is drier, and it’s getting darker every morning. Waking up is hard and waking your eyes up is even harder! Stress, shortened and poorer quality of sleep, the changing light and temperature, and a lack of humidity can all make eyes appear puffier, duller, redder, and more sleepy. 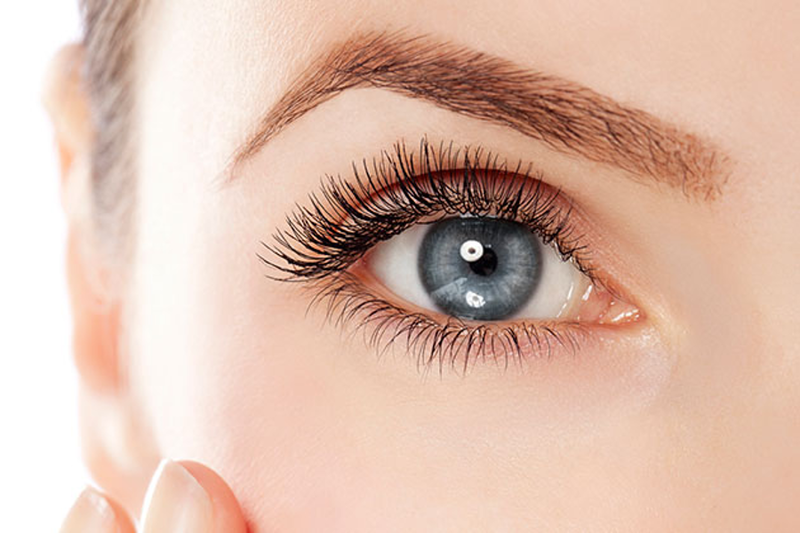 Open your eyes to these freshening and brightening tips. For Bustle, Kara McGrath put in the eye-work necessary to test out a bunch of de-puffing tricks from across the internet – and some of them actually worked! While cold spoons, potatoes, and cucumber slices were a flop, raw egg whites applied under the eyes, tea bags, and professionally-made eye serum worked. However, the tea took so long, her eyes probably de-puffed a fair bit all on their own. The conclusion is that the formulated products worked the best by a large margin. This year Erno Laszlo products are so popular for this very reason. They’ve been specially formulated for specific eye needs. The Antioxidant Complex For Eyes brightens and reduces puffiness with aloe vera, grape, and mulberry extracts. Its ingredients actually halt melanin production to help stop dark circles. It’s also hydrating for dry autumn mornings. The Firmarine Eye Serum protects against environmental damage and has anti-aging properties using nutrient-rich spirulina maxima to increase collagen growth. Aloe makes another appearance to quickly reduce that early morning puff. IT Cosmetics’ Confidence in an Eye Cream is a miracle in a pot. It plumps, hydrates, and brightens with anti-aging action that absorbs deeply into delicate and dull skin around the eyes to freshen them immediately. The formula was developed alongside plastic surgeons (don’t worry, there’s no cutting required) using essential extracts and is clinically proven to take care of every eye problem under the fall sun. The bonus news is it doesn’t contain parabens, phthalates, or sulfates to do so. Other ways to improve the appearance of tired eyes is to – you guessed it – improve the quality of sleep. The rumours are unfortunately true: it’s best to unplug at least an hour or two before attempting to sleep. That means all screens, including your phone. If you rely on your phone as an alarm, get yourself a classic alarm clock or use your old phone (which is probably just sitting in a drawer) as your dedicated alarm, and keep your current one out of the room. Your TV should be in your living room or den not as your bedroom buddy. And you can stop cuddling with Netflix on the laptop, too. Don’t drink any caffeine past midday or rely on energy drink enhancers to artificially boost your levels – the crash will somehow make you extra sleepy yet unable to fall asleep at night. And remember alcohol dulls the appearance of skin on top of drastically lowering the quality of your sleep, no matter how many hours you get. The skin all over your body and everything within it benefits from plenty of water throughout the day, so invest in a high quality double walled water bottle to keep cold water by your side all day. But cut yourself off in the evening because needing to make a trip to the bathroom in the middle of the night is bad for your sleep cycle. Splash your face with cool water to start the waking up process, cleanse, and apply a professional treatment to brighten those sleepy peepers!